Which country was my Rolex originally sold from? One of the most common questions we get asked in regards to Rolex Watch enquiries is about the origin of the watch. 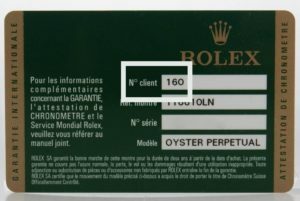 Whilst most manufactures have their Authorised Dealers stamp the certificates with this information Rolex goes a step further by putting a 3 digit code on its certificates which relate to a specific region. 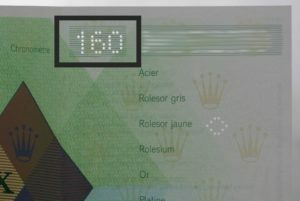 On older papers you may find the code punched along with the serial number. Some certificates variations may not contain the country code so don’t worry if yours doesn’t especially with older models.